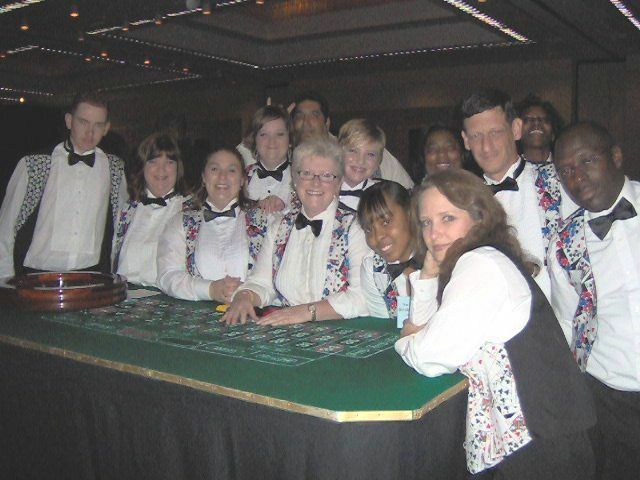 Smyrna Casino Party - Bring the excitement of a Casino Theme Party to your next event in Georgia's Jonquil City. It's a sure way to get everybody involved. Whether it’s a corporate event, fund raiser, birthday party, or any other type of special event, a Casino Party is the most interactive and fun event you can have. Funtastic Events Inc., was founded in Smyrna in 1985. The owner, Jack Corcoran is a Past President of the Smyrna Business Association, and had been on the Board of Directors for many years. We've been providing entertainment and putting on parties for all types of organizations. So, when you’re looking for a Smyrna Casino Party, make your next event a Funtastic one!